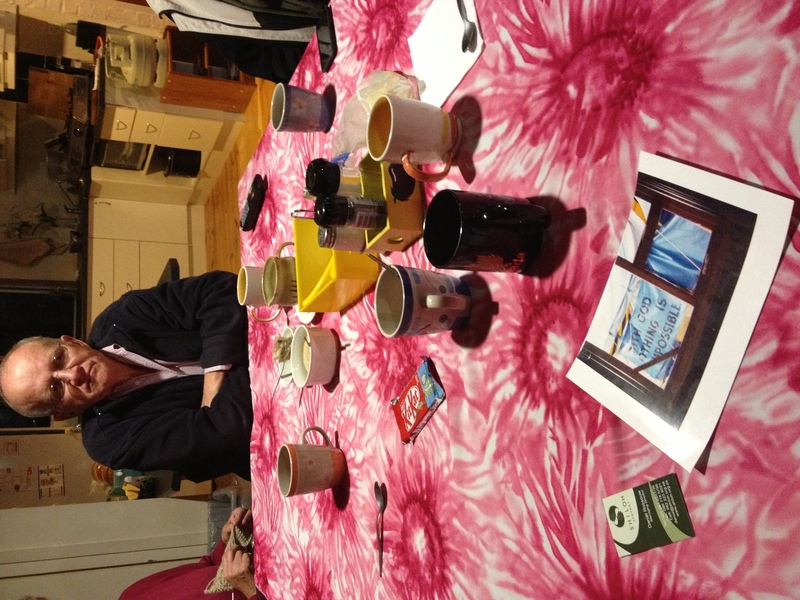 Last year during Holy Week, we were pleased to have with us a friend from out of town. Way out of town in fact: Minya, Egypt! Victor Habib was making the rounds between our Denver and Four Corners presentations to take a closer look behind the scenes so he could help train the team in his hometown. While he was visiting the states he signed the agreement to produce, and his team will be staging their first presentation in Arabic in September of 2019. Please keep Victor and the entire team in your prayers. In the midst of all of the opposition, there is a great opportunity to share the gospel of Jesus Christ in the Arabic speaking world. This time of year, you may hear about Las Cruces, New Mexico because the NMSU Aggies are putting on a strong showing for March Madness. This year, however, there is something else going on in Las Cruces to be on the lookout for. 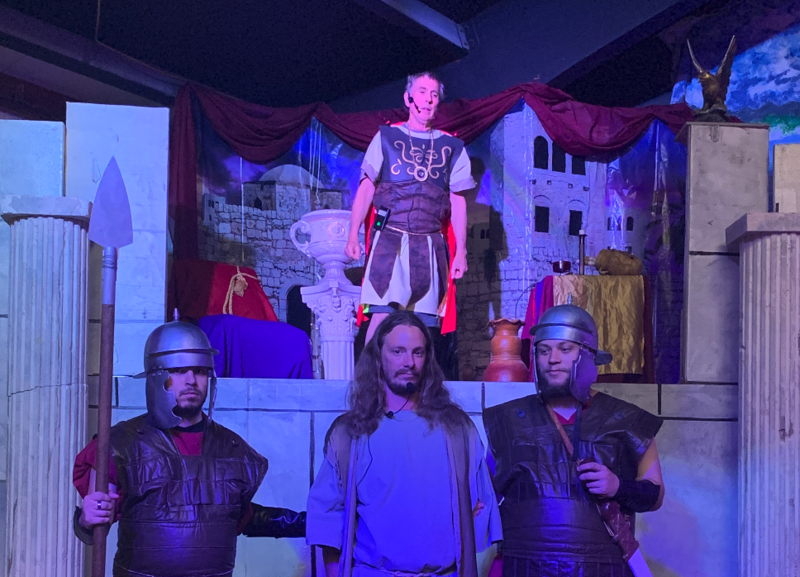 April 8th – 12th at the Dream Center the Passion Play of Las Cruces team will take to the stage for their inaugural presentations. It marks our first new domestic presentation for the ministry in five years. They are planting a vision in the community for what we believe will be exciting growth over the next several years. 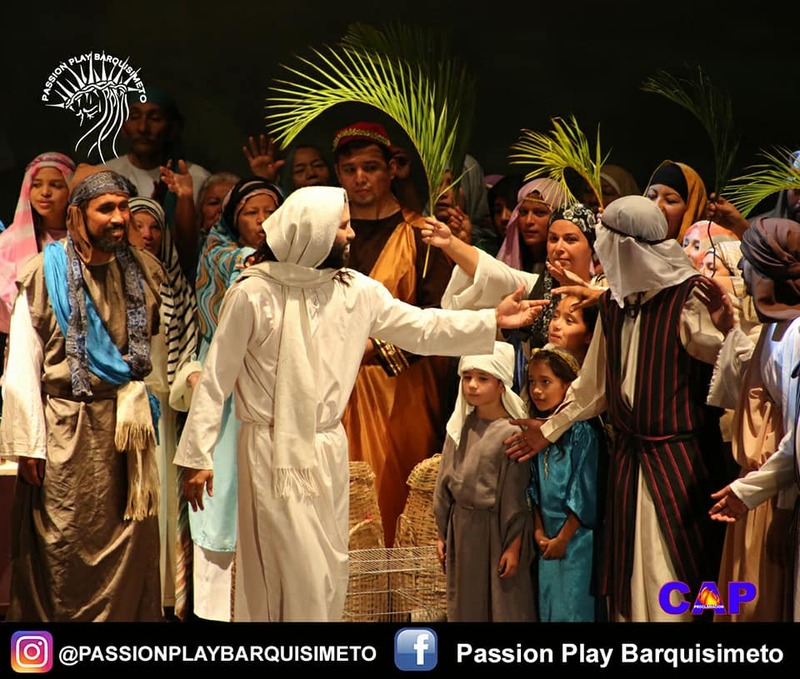 March 23rd and 24th 2018, the Passion Play of Barquisimeto, Venezuela will host their premier presentations of “He’s Alive!” This effort represents PPMI’s first opportunity to partner with the body of Christ in South America. It comes at a time when the country of Venezuela is experiencing extreme political, social, and economic turmoil. Their national elections are scheduled to take place in the month of April. A dark cloud of uncertainty hangs over their future. Their presentations will be Friday March 23rd at 2pm, and Saturday March 24th 10am and 2pm. The location for their presentations will be the Teatro Juarez Calle 25, Barquisimeto 3001, Lara, Venezuela. The Venezuelan state orchestra has confirmed its plan to accompany the 150 actors in their presentation. Please keep this team in your prayers as they make their final preparations. Recent news paints a grim picture of current conditions across the country. Reports indicate the average Venezuelan has lost 24 pounds in the past year due to starvation. Around 90% of the population is living in poverty. Several sponsors have come forward to help make this presentation a reality. We still have several outstanding needs totaling $3,275.00, including: food and water for the cast and crew, lighting, utilities, and security. Please prayerfully consider partnering with this team financially as they take the stage to present the good news of Jesus Christ. We believe the hope for all of Venezuela’s tomorrows is still wrapped up in the powerful message of the cross and the empty tomb. It’s still the greatest message of hope the world has ever known…. You can follow along with the team on Instagram. Whitaker invention known as the imagination station. It was amazing how involved I became in listening to this program on a daily basis. the actors who take part in this ministry annually are volunteers. The expressions on each face are not manufactured they are the result of coming closer to the story than they’ve ever been before. Imagine yourself sitting at the last supper table with Jesus as he begins to break the bread or standing so close to the cross you can actually touch it. Imagine being there as Jesus makes his way into Jerusalem or finding the stone rolled away from His tomb and coming face to face with your risen savior. These are the kinds of experiences we have witnessed now for more than 28 years and the opportunities to get involved continue to expand. It doesn’t matter what your gifts and talents might be, we have room for you in this ministry. On the stage, behind the scenes, in front of a keyboard or sitting next to the Cello we invite you to become part of a ministry that’s making a lasting impact in the lives of thousands annually. 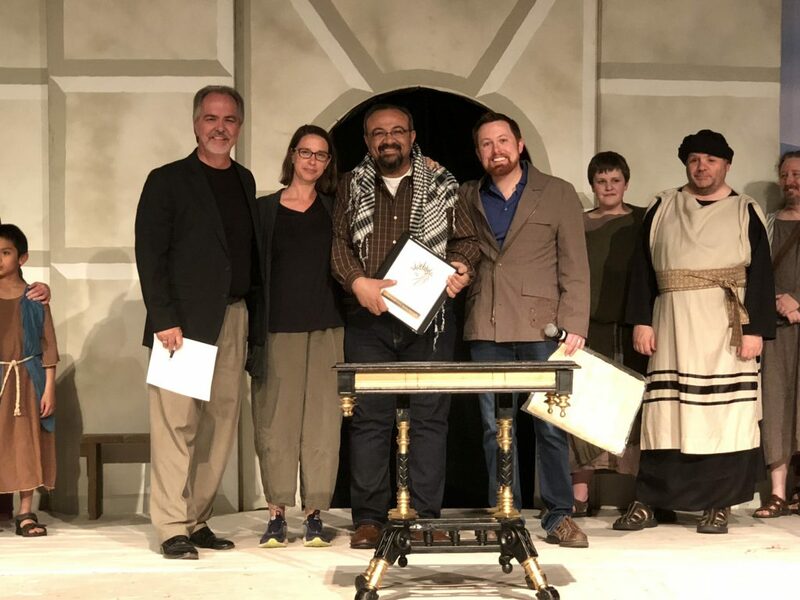 Perhaps you’re interested in bringing the ministry of the Passion Play to your community. Who is more qualified to get the process started than you? 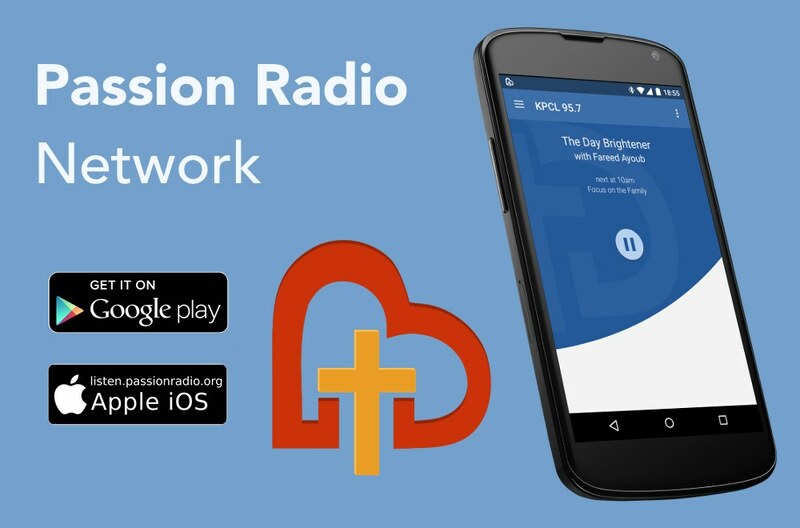 If you share our vision for building up the body of Christ and reaching the lost with the greatest message of hope the world has ever know you can get started today by checking out the rest of our website. It had been quite the 48 hours. After a mixup with the airlines had nearly stranded two of our traveling companions, and a hop across the pond, seeing the front door of our friend’s house in Melkbosstrand, South Africa was quite a relief. The house is a split level. The family lives upstairs, and the first floor is an apartment with some spare rooms for guests. As we stepped through the front door I couldn’t help but notice a familiar picture. Printed out on an 8.5 x 11 piece of paper, taped to the wall, it was a photo looking out of the window of a building with corrugated metal walls. 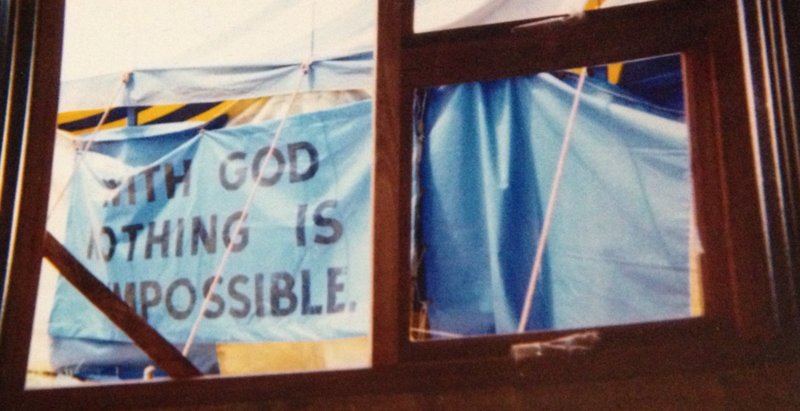 Outside of the window there was a large yellow and blue tent, the kind that you buy fireworks from, and there was a sign on the side that said “WITH GOD NOTHING IS IMPOSSIBLE”. To those that live in the Wallacedene township, that was no fireworks tent, it was a church, and a place where three times a week their children could come receive a meal. The window that the photographer had been peering out of was the freshly built Shiloh Christian Outreach Center. Ten days before that photo was taken 32 cast and crew members had made the trip to to South Africa to help them stage their first presentation of the passion play, He’s Alive! 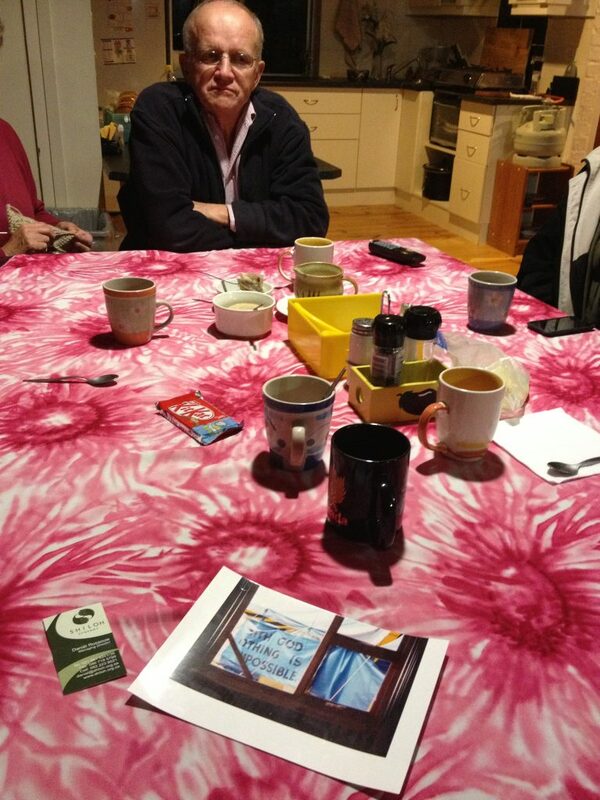 They had been to Wallacedene to help with the feeding program and had learned about the tent. Long story short, it was in bad shape, and if they lost the tent, they would loose the ground that the church met on, and in turn they would loose the ability to serve their community. 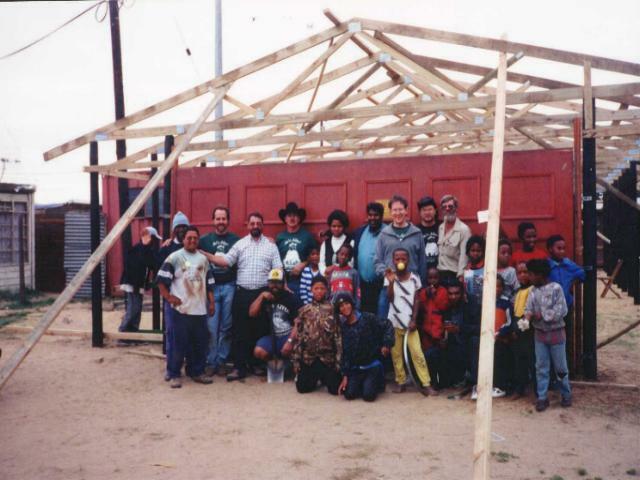 People that traveled to help put on a play joined hands with locals and quickly became a construction crew. Money that had been brought for souvenirs was pooled and turned into money for wooden planks, nails, hammers, trusses, metal siding and windows. With some more help from back home we were able to purchase all of the materials to put the building up. This was not going to be the crystal cathedral by any means, but it would be a more permanent home for the church and their feeding program. Not long after the posts were planted in the ground and the first truss was going up, a large gust of wind tore the tent from top to bottom, we all knew that God had placed us right where he wanted us to be. Knowing that Garry had been on that trip, I was looking forward to catching up with him and reminiscing about that great trip. As I laid my jet lagged head on the pillow I was thinking about that picture, but it wouldn’t be until a surprise later in the week that I would get a chance to ask him about it. We had some very productive meetings, not to mention that my girlfriend had agreed to marry me, so by all accounts it had been a great week. It was our last night in South Africa, and we were sitting down enjoying a meal with our gracious hosts. The evening was winding down, people were splitting off in to little groups carrying on conversations and laughing. I stood up and walked by a high top table, and noticed a business card sitting on the corner. It must be a popular name locally, I thought, but I was curious, so I asked our host Kevin about the card. Kevin is a businessman who helps create legal documents and contracts for corporations. He was helping Shiloh with a license for their school and feeding program so that it could be transferred to other townships and communities. After a few “do you know so and so” type of questions we were all amazed that independently of one another we all had a connection to Shiloh. That small church we had helped back in 1998 had grown up and was reaching well outside of its walls. With God, nothing is impossible. Actors can become construction workers, a church on its last leg can find new life, and that new life can spread much farther than we can see, or would even dream of. What will you build today? How far will it go?